Over the past few weeks, a long-awaited technological development has finally taken place. 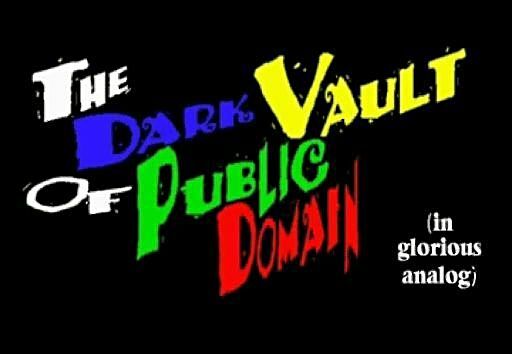 THE DARK VAULT OF PUBLIC DOMAIN is now available on televisions all over the northern hunk of New York State. Those of you in the Adirondack regions of the Empire State can now indulge your warped, classic movie and TV loving selves with 2 hours of the greatest in public domain fun, entertainment, information and wackiness each and every Saturday night. So far, the show has now reached the Massena, Malone, Ogdensburg, and Champlain regions and can be seen from 10PM to midnight on channel 30 on your cable equipped cathode ray tubes. 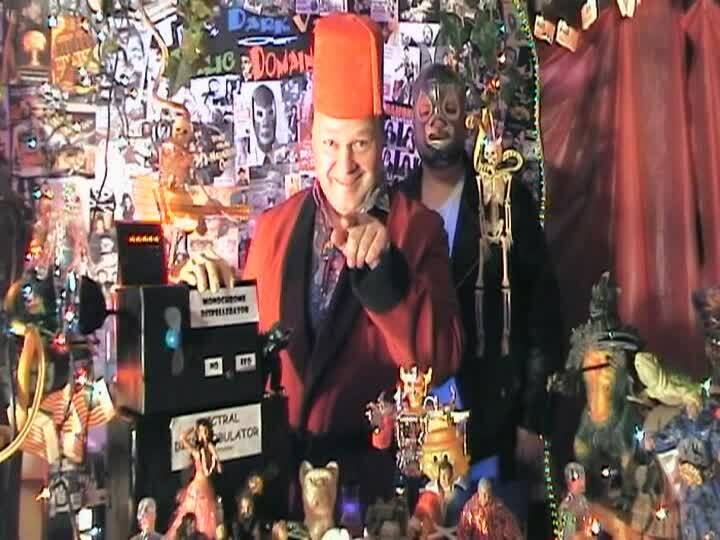 UNCLE PETE, his sidekick El Vato, and all the clones and DARK VAULT denizens welcome all our new viewers to our show. 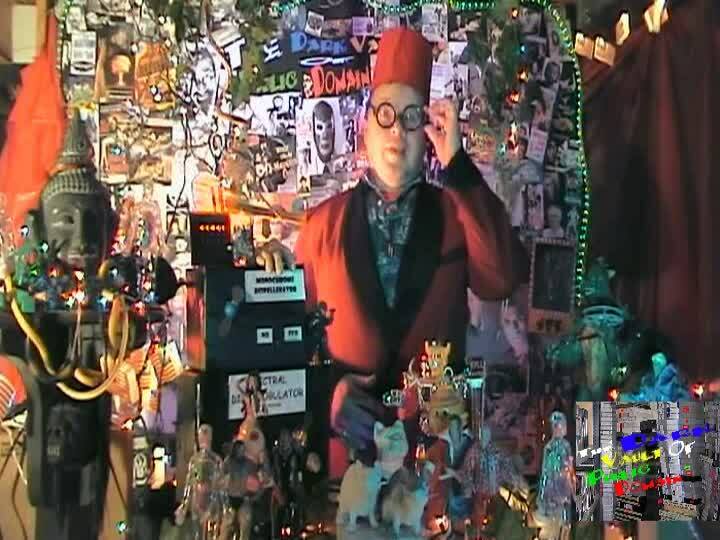 Originating from the Binghamton, NY area, THE DARK VAULT OF PUBLIC DOMAIN has been airing every Saturday night since 2007 bringing you monster, horror, kung fu, action, adventure, comedy, cult, cartoon, and odd features and shorts from the past 10 or 12 decades. Please feel free to contact us at unclepeteshow @gmail.com or darkvaultpd@ gmail.com (no spaces). UNCLE PETE will answer all your questions and your e-mail might even get read on the air in a future episode. If you have any questions about the history or future episodes of the show, just ask. And for those of you looking for the coolest apparel or the perfect gift for the fast approaching Halloween/Thanksgiving/Christmas seasons, there are the ever-fashionable DARK VAULT T-shirts available in two styles. So thanks for joining us. Let us know you’re out there (maybe waaay out there). Tell your friends and strangers. And keep on watching!!! ~ by UNCLE PETE on October 24, 2016.